Hungarian merchant and financier; born at Arad Nov. 17, 1852. 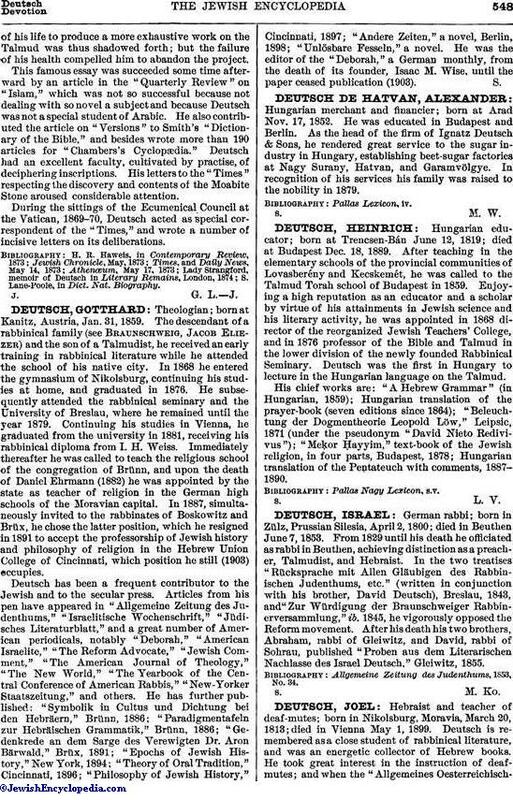 He was educated in Budapest and Berlin. As the head of the firm of Ignatz Deutsch & Sons, he rendered great service to the sugar industry in Hungary, establishing beet-sugar factories at Nagy Surany, Hatvan, and Garamvölgye. In recognition of his services his family was raised to the nobility in 1879.